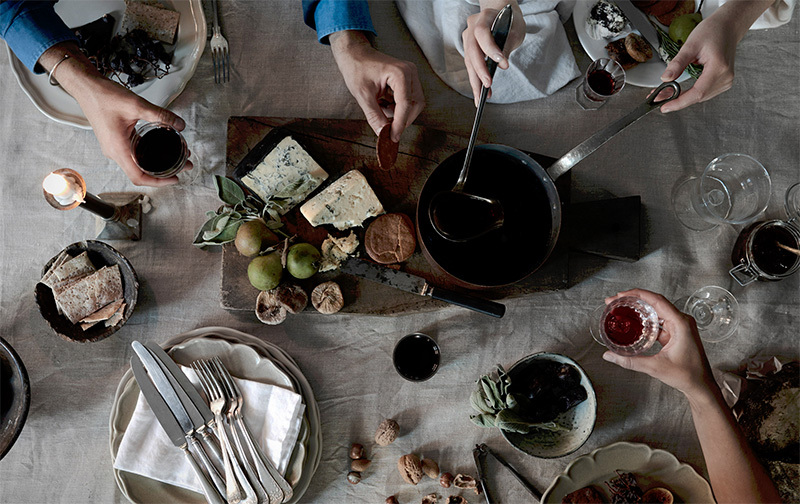 In Norway and all Scandinavian countries, Christmas is all about the smell. Or at least, this is my opinion based on my experiences. 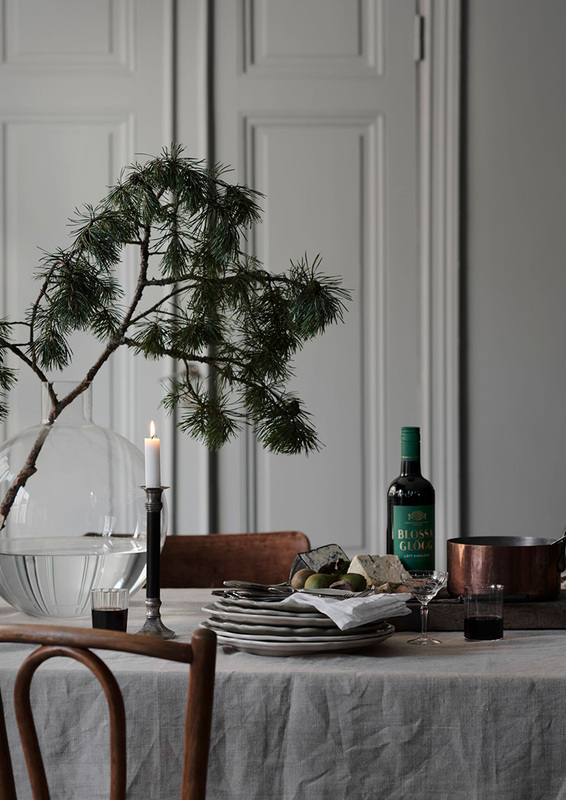 The houses fill with Amaryllis flowers, Pine, Fir and Spruce branches, while there is almost always Gløgg shimmering on the stove, giving out a distinct aroma of cloves, cinnamon and nutmeg. Gløgg is a mixture of mulled wine made with cloves and cinnamon, and served warm with a helping of almonds and raisins. You don’t have to make it yourself, several brands sell Gløgg in bottles and the preparation is as easy as pouring some in the pot, add some water and mix in your favorite nuts or orange slices. 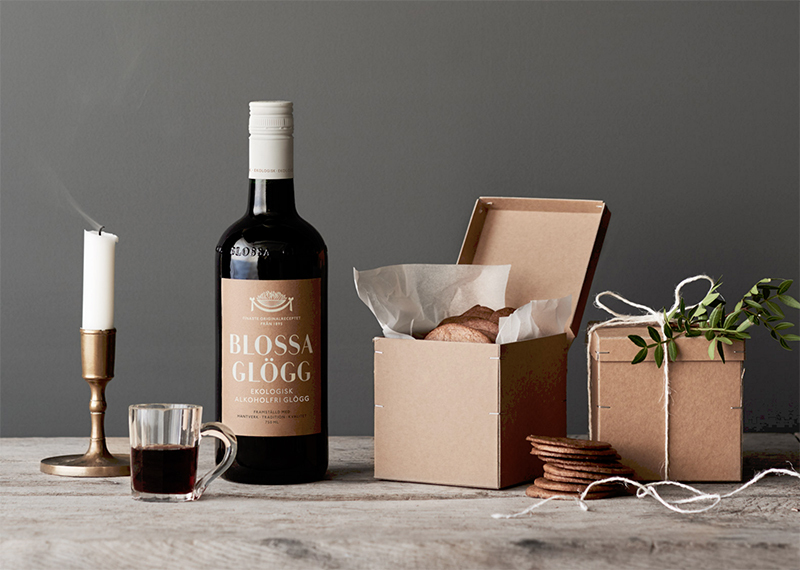 Blossa, a company that is very popular in Sweden for its authentic Gløgg recipe presented a few weeks ago its new bottle labels designed by The Studio , in a series of photos styled by Lotta Agaton and photographed by Pia Ulin. 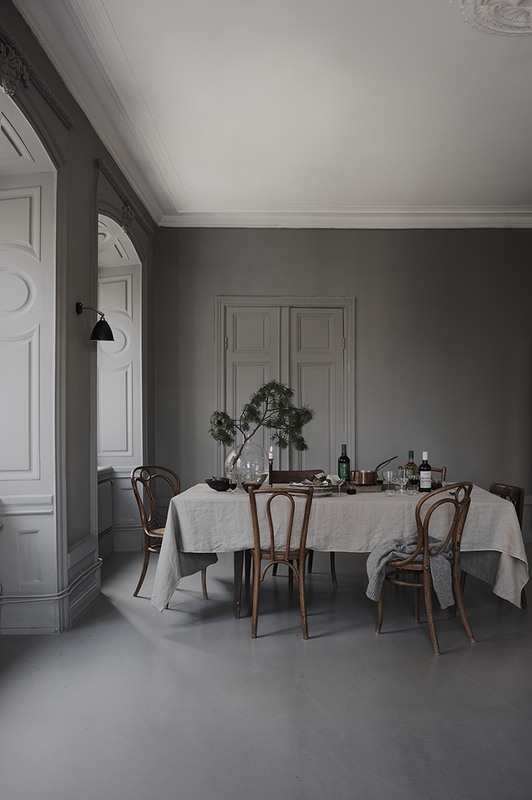 The effect is striking, the setting and mood fits perfectly with the Scandinavian Christmas feel and it leaves me even more expectant for the upcoming holidays!